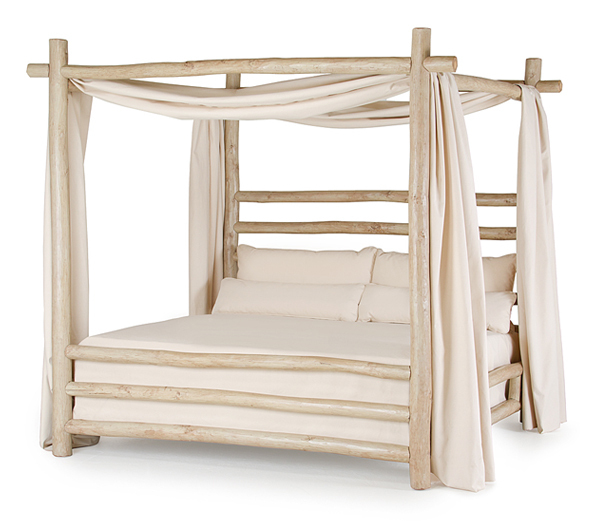 Posted December 10, 2014 by La Lune Collection & filed under Interior Design, Rustic Beds, Rustic Bunk Beds, Rustic Cabinets, Rustic Chairs, Rustic Furniture, Rustic Seating, Rustic Tables. Here in La Lune Collection’s beloved Wisconsin we are no strangers to the decorating magic of the season’s first snowfall. City streets, farmers’ fields, frozen lakes, and pine forests alike – after an evening of falling snowflakes everything awakes to a glistening white blanket, and the resulting landscape’s beauty is breathtaking. 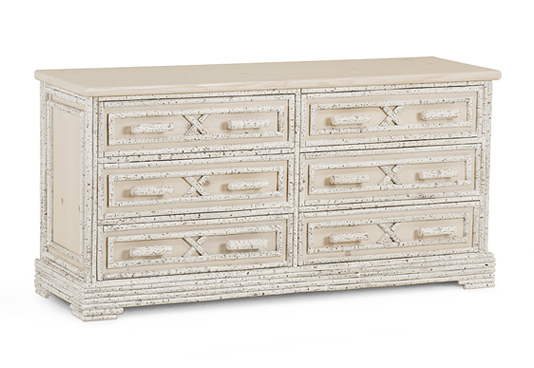 Excited by our own first snow, we share here some charming snow-inspired words, accompanied by a few of our favorite “La Lune Collection Winter Whites” – a sampling of selected pieces shown in some of our many fabulous white finishes. We hope you enjoy! “There is nothing in the world more beautiful than the forest clothed to its very hollows in snow. 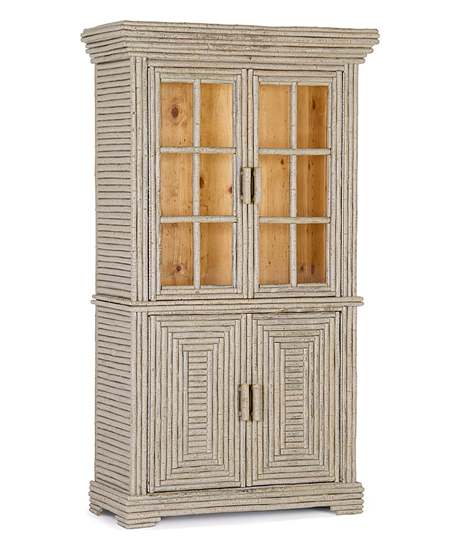 This finely crafted and extremely roomy Chest provides a beautiful place to store textiles, clothing, and other treasures. Our expert craftsmen have tended to every detail in its construction, carefully cutting and applying by hand the branches that make up its handsome design. 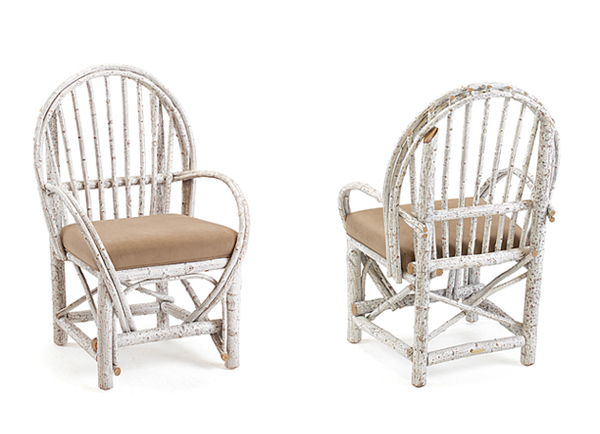 This Chair’s design makes it a most versatile decorating piece, an appealing combination of sturdiness and rustic charm. 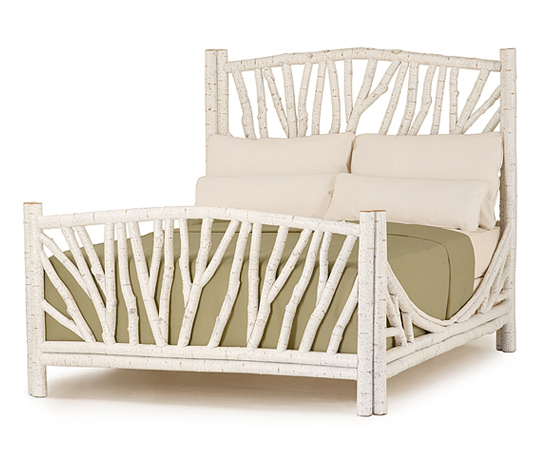 An unquestionable masterpiece, the graceful and freeform lines of natural branches are the unique design feature on this Bed’s headboard and footboard. Strikingly beautiful, it will most surely will draw compliments from all who see it or sleep in it! Over the housetops, over the street, over the heads of the people you meet. 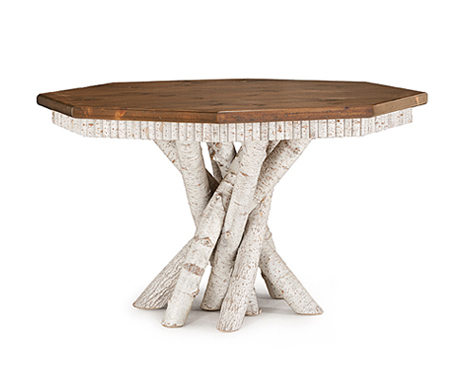 An octagonal Table makes conversation easy for everyone seated, and this one is a La Lune favorite! Its inspired rustic design is created by our master craftsmen, featuring a delicate, precise branch “apron”, and a graceful, organic base of free-form branches. 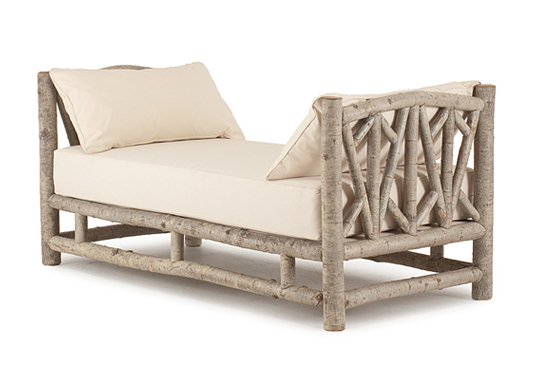 A striking pattern of angled branches creates design interest on this handsome Daybed. Meticulous construction, kiln drying, special joints and finishes, and attention to every detail ensure its enduring beauty and comfort. 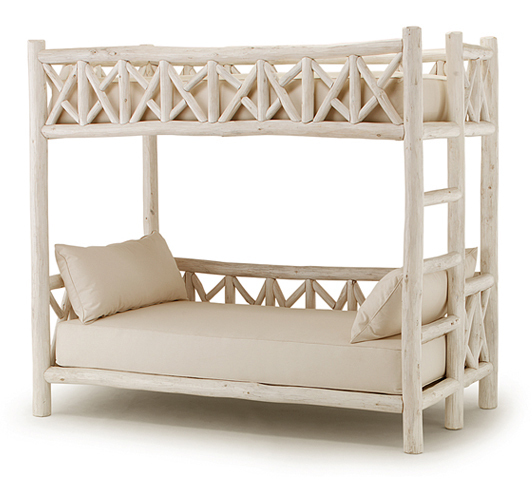 Elegant and stately, this Canopy Bed lends a sense of drama to any decorating style – equally at home in traditional, contemporary, and eclectic settings.